You may have heard that Taste of Omaha is coming up this weekend (May 30 - June 1). Lucky for us, in true Omaha fashion the weather is looking to be both hot and potentially rainy. That translates to one thing... high relative humidity! And while I don't need a special weekend to celebrate all the great food this city has to offer (that's just how I live my life). 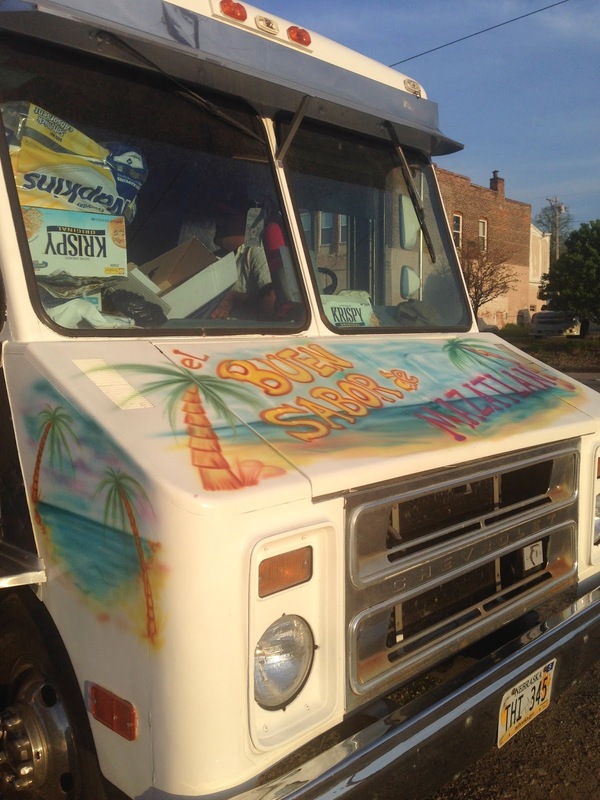 It's a special occurrence and shouldn't go without recognition because it's a great opportunity for local restaurants and food trucks to get their name out there and be discovered by the masses. With nearly 50 options though, how to choose what's going to take up that valuable stomach real estate?? I took the time to sort through the early-90's style website to give a shout-out to some of my favorites and identify the places that just might draw me down into the fray this weekend after all. Right off the bat, you can skip the common fare... your fazoli's, pepsi, longhorn steakhouse, old chicago, highland dairy ice cream. etc... don't be tempted by the Valentino's pizza either. There are so many more more unique things to try in such a small radius, you have to be strong here. These are the items I've had and love, but will probably skip to save space. Remember, hours are: Friday 5 PM - 11 PM, Saturday 11 AM - 11 PM & Sunday 11 AM - 8 PM. If you want to avoid the crowds, earlier is probably better. And if you're looking for some structure, the OWH has a pretty decent summation of things to do. Their version of the festival map is a lot better also. Follow the link or click below. As I went to copy my French Bulldog review from Yelp, I realized it was 17 months ago. My how times flies when you're having fun. And fun is all I've had at TFP over the course of my 6 visits. Well, 7 because I took so long to write my update that I've been another time. (Unless you also count the Science of Bacon workshop, then it's 8 times). But really, that's not even enough. The reason I probably haven't finished writing this update is because every time I think about it enough to write, I want to go back. Lucky for all of you reading this, they're closed today. Which reminds me, The French Bulldog posted a pretty neat little Vimeo on a Sunday recently. I'll embed below. The French Bulldog from Kyle Gilbertson on Vimeo. But back to the food. My original review mentioned several items that I've since tried, so it seems only fitting to write an actual update. But first [more stalling] I'll reproduce the original review below. I suppose it's a good thing that I don't cringe when I look back at my old writings (yet). Salami. Sala-me. Sala-you. Fun for all at The French Bulldog. It took us a good long time to get here... Waiting out the grand opening crowd, waiting out the post-OWH review crowd, and then finding a good time to go. That last part isn't really an issue as TFB is open generally from 11am - 11pm daily (midnight on Friday and Saturday). No Sundays, but that's plenty of time during the week to get your meat on. Ironically, speaking of meat, the item I was first drawn to on the menu doesn't have it - the Ploughman sandwich w/ green apple and white cheddar. But the main attraction at this place is the meat... So what to do, what to do??? 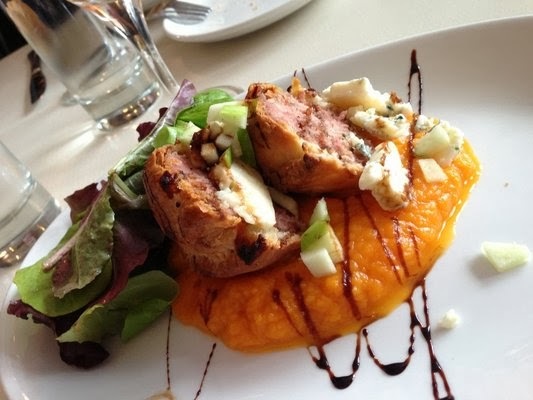 As I sipped on a Goose Island Matilda, my carnivorous side prevailed and I ended up ordering the pork pie (see above), which came on a bed of mashed squash with blue cheese crumbles and tiny apple bits scattered around. (So I was still able to get my apple/cheese fix after all.) The pie seemed a little less fresh than I'd have hoped... Probably prepared earlier and warmed up. A little on the dry side. We also got a charcuterie & cheese plate for the table and opted to let the kitchen provide their selections for our 3 meats and 2 cheeses. This was a smart move. Oh well... it was all delicious and a great portion to share for four as a precursor to our meals. Bread - from Le Quartier - was perfect also. No surprise there. 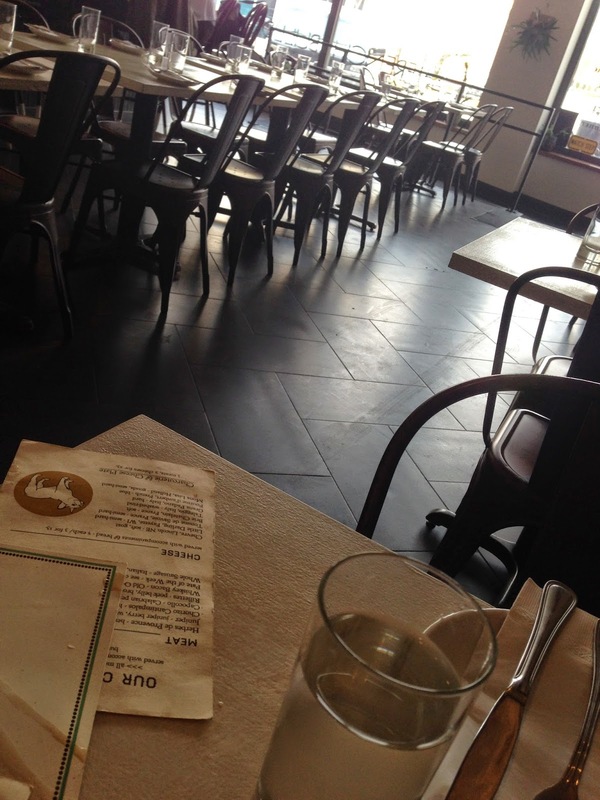 And to make it all better... Rubbing elbows with other diners in a cozy combination of new and old decor. On a foggy Saturday to boot! I loved everything about this place. This is all still pretty accurate - the crew at French Bulldog really know and love food. That love shines through in each and every dish. And the restaurant itself lends to a versatile experience. You could make it a date destination, happy hour stop, casual afternoon lunch, or late night gathering with friends. It's a spot that's loved by neighborhood locals and far-flung Omaha foodies alike. The Yelp reviews for the place are glowing. A solid 4-star average with fans from Miami, L.A., Kansas City, Denver and Honolulu. 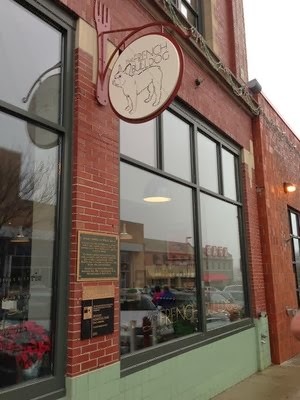 I'd say it was wise of these visitors to our fair town to make the bulldog a priority stop on their visits, and I for one am happy to have a place like this representing Omaha on the national stage as well, with chef Bryce Coulton’s award-winning Hungarian Salami. 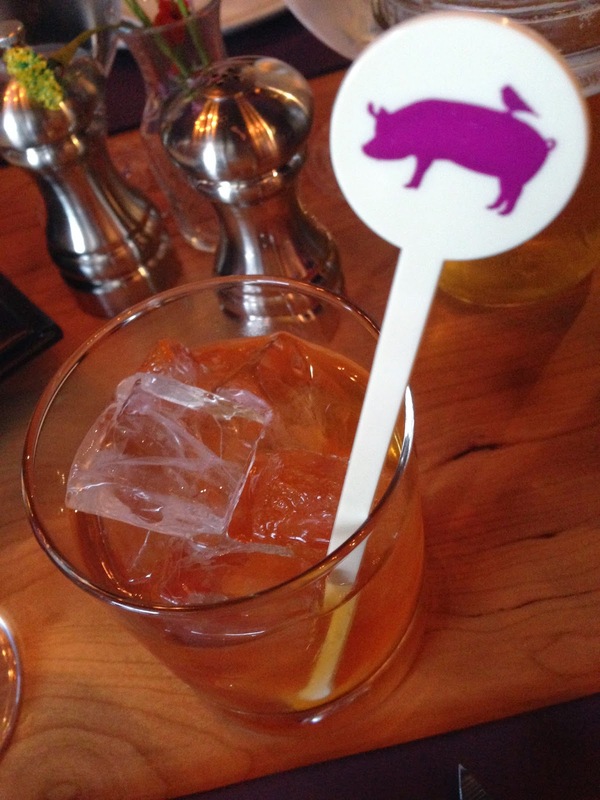 It's true that The French Bulldog could have been opened - and done well in - any other foodie city in the U.S. But the concept is perfect for Omaha, and Dundee in particular. 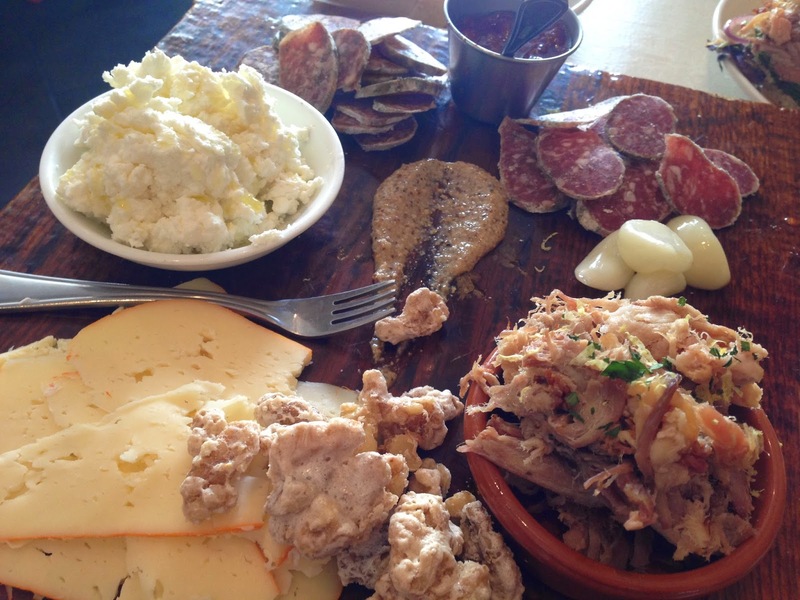 If you're planning your first visit to the restaurant, the charcuterie and cheese plate is a must. 3 meats and 2 cheeses for $23. 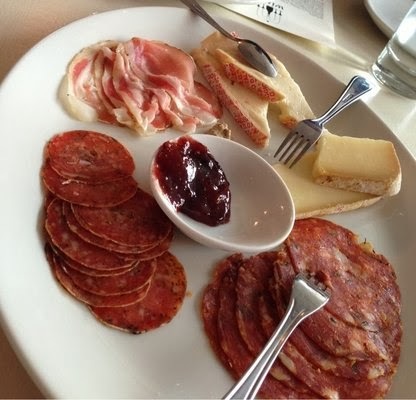 Served with some complimenting items (honey, jam, nuts) and freshly baked baguette, there's plenty to share as an appetizer. 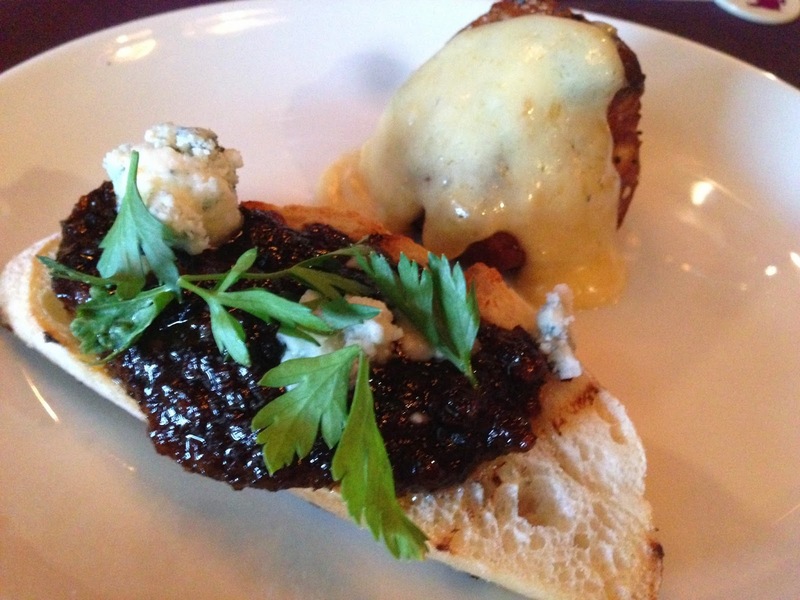 Try not to load up on bread too much though, because you'll want to save room for the entrees. 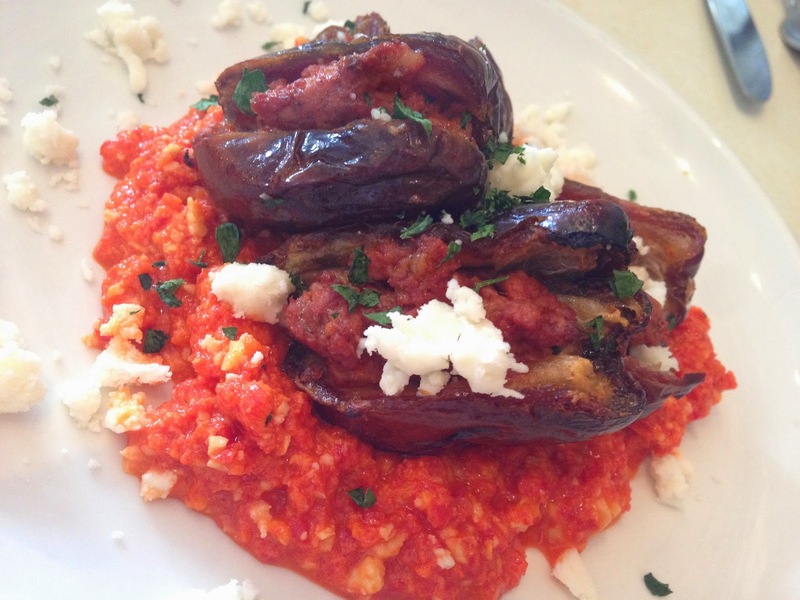 Okay, also you need to get the chorizo stuffed dates. I probably don't need to elaborate on why. Chorizo-stuffed dates. Enough for sharing... maybe. Moving on through the menu, I have had the quiche and greens before also. It was one of those rare nights I felt myself tending towards the lighter side. And while it was good, by no means was it my favorite menu item. That honor [ha] is reserved for the nearly mythical pork belly sandwich - smoked gouda, jam, red onions, greens and mustard-creme fraiche on ciabatta bread. Served with chips. 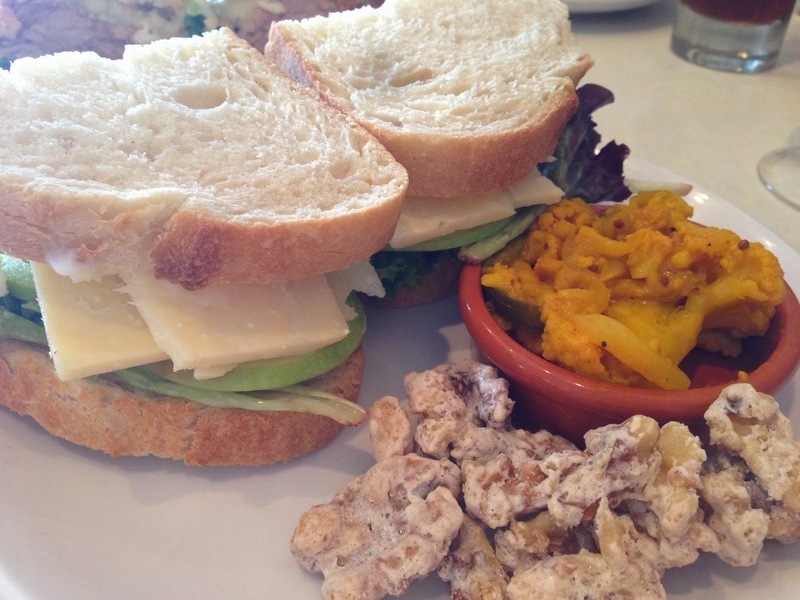 This could be shared, if you can convince one of your dining partners to order up my other favorite sandwich - the ploughman's - with white cheddar, granny smith apples and greens on sourdough with piccalilli (a pickle relish) and candied walnuts. Ooh-wee. If you manage to read all the way through the menu without committing to any of those items, there are also the Sausage Board or Mexican Chorizo Plates (and don't forget the chalkboard specials)! As you might expect, this is one of those places where it's very easy to both over-order and over-eat. Cocktails and beers are nicely curated as well. Wine (probably) also, though I'm not really a good judge of that. They also have desserts, but I've never had the stomach space to try them. To sum up... get there now and enjoy. 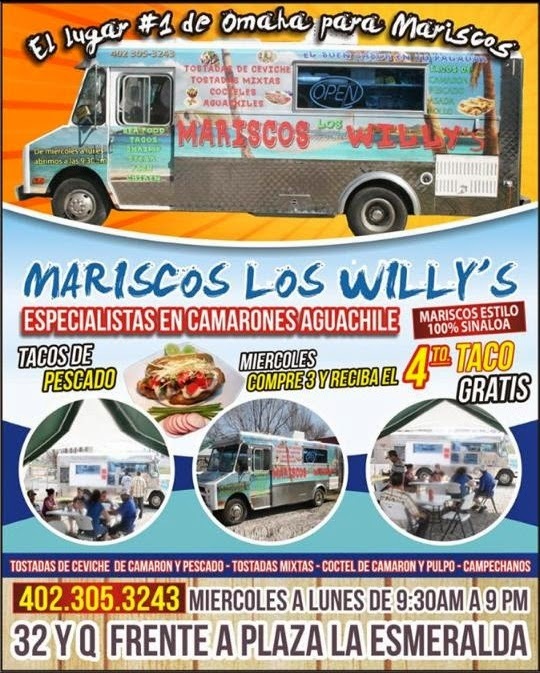 Shout out to Dale, who has mentioned Mariscos Los Willy's﻿ to me several times, and just this week I finally wrote it down on a Post-It note. 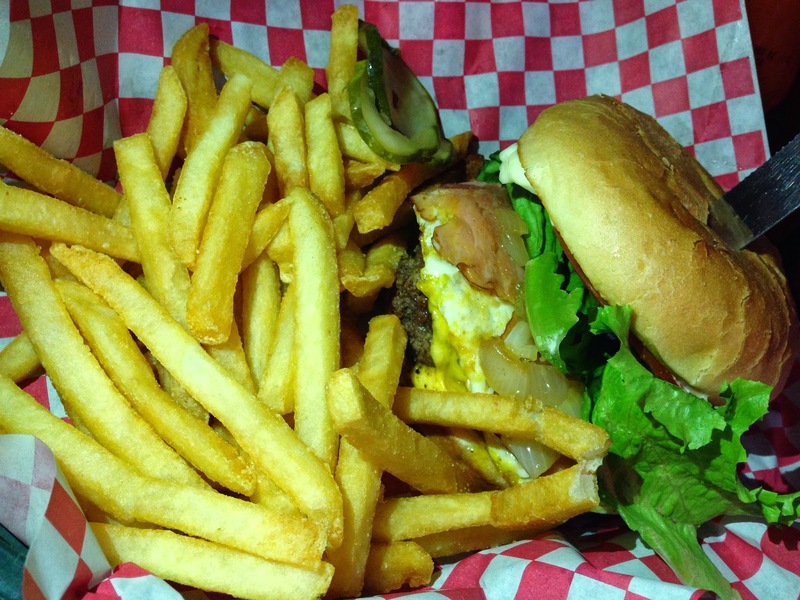 I took that note to our Yelp Burger Brigade dinner where I told Matt M. all about it. Matt was as quickly enamored with this place as Dale (who originally discovered it by scooter happenstance - i.e. Food Fate) and has been back twice in as many days. I think he also has plans to go again today... But this place is still very much a secret. Last night, I finally made it down with some of the usual suspects and somehow ended up out of my element in a whole new delicious world. It pays off big time to go rogue sometimes. This place isn't searchable on Yelp (yet, though Matt has since added it), has a personal Facebook page (but no company page), isn't on Urbanspoon (yet, I just added it) and is pretty much totally absent on Google. 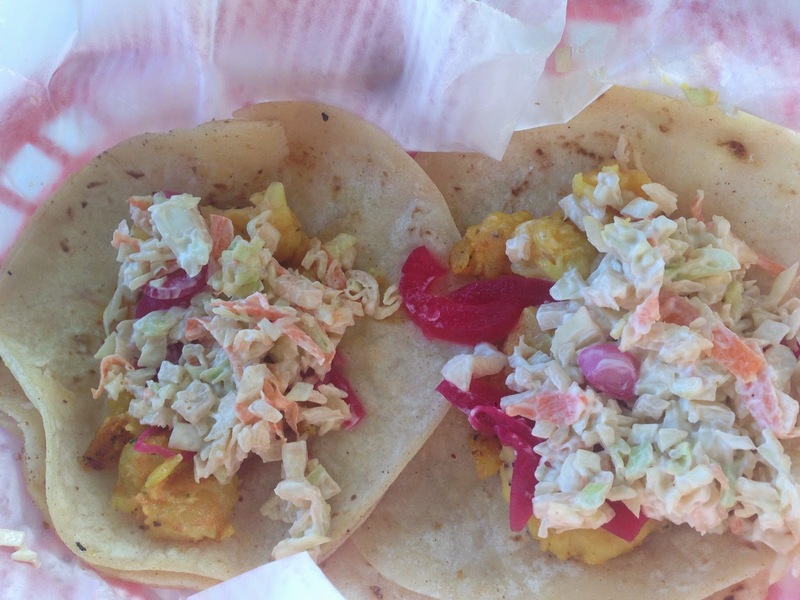 Fish Tacos: Wednesday buy 3 and get the 4th free! Hours: Wednesday to Monday 9:30 am - 9pm. Lesson learned though, ordering something just because it's on special from a food truck where the menu is not in English may not be something I should gravitate to - at least before Googling some things first. Quiz time... how many words on this menu do you know? I was about at 12 upon arrival. Luckily I'm not intimidated enough to NOT order or eat food from a truck where I only understand 54% of the menu and can't easily communicate with the person taking orders. Then I proceeded to eat what looked like raw shrimp and scallops. Living on the wild side in Omaha! 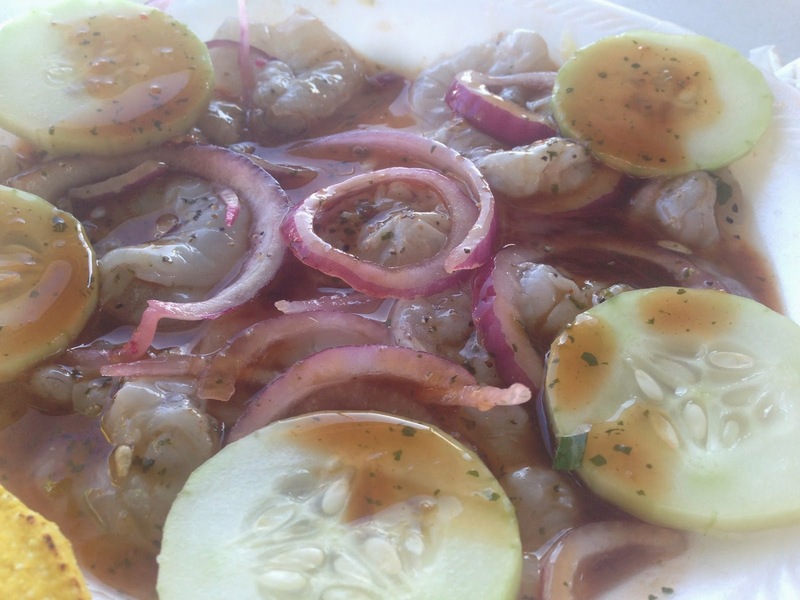 Raw shrimp (and later, scallops), brined and cured in a concoction of lime juice with peppers and spices, served with onions and cucumbers. A quick Google search would have revealed that easily. And, for the record, it wasn't 'technically' raw... the citric acid in the juice "cooks" the fish, without changing its “raw” taste. Though reading this article, turns out it's not really foolproof either. So... yeah. Anyway, it looked raw. Tasted good though. That wasn't really my favorite dish (though according to the flier this is their expertise). In any case, our group wasn't really hesitant about digging in. The other items we sampled knocked it out of the park though. 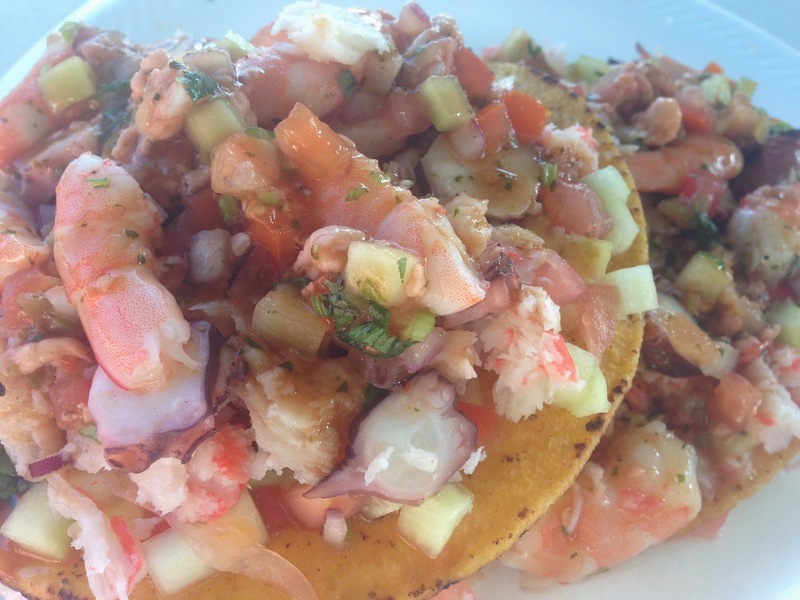 Like the Tostadas Mixtas: a tostada loaded up with amazing cerviche including shrimp, fish, octopus, and probably other sea-dwelling animals; or the Pescado (fish) tacos. 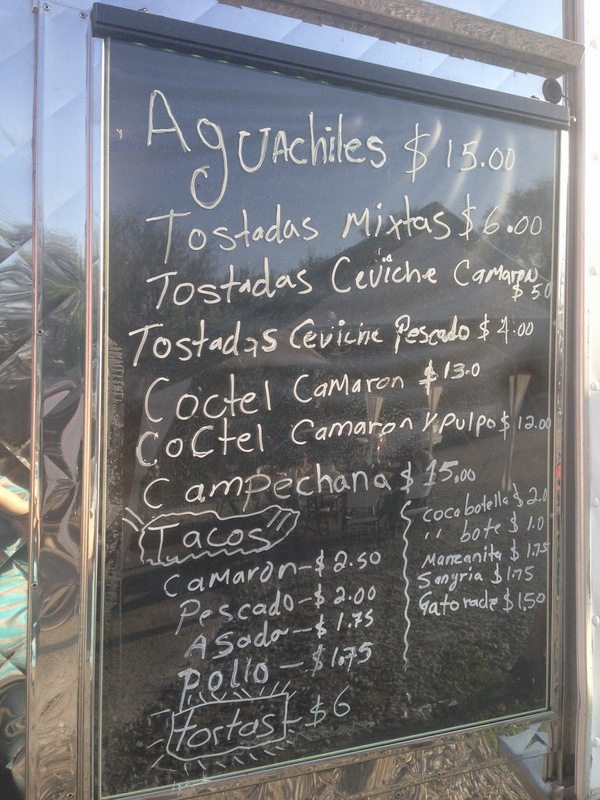 Also the Camaron (shrimp) tacos. Where are they getting this seafood, because it was all crazy delicious. And perfect for those hot summer days coming up where you don't feel like cooking. There's seating outside with a covered tent, and plenty of festive music to go along with your meal. This will definitely be added to our restaurant rotation - and next time I'll come a bit more prepared, though you have to be willing to go with the flow a bit here. Also, maybe this should go without saying, but it's CASH only folks. And brushing up on your espanol ahead of time will only help when it comes time to order. Five years later and I finally get back to Dinker's to try again. That being said, everything in my previous review still seems to be pretty spot on - except this time I enjoyed my burger less. I really want to like Dinker's. And some people love the place, (sorry to you for what I'm about to say) but in my opinion Dinker's isn't anywhere near the best burger in Omaha. It's not even in my top 10. There are just many other burgers in town I'd rather eat. The best thing going on our visit was surprisingly the rocky mountain oysters. Though I wouldn't go out of my way to eat those either. All the other items we sampled, including the homemade onion rings, were all just okay. Mac & cheese bites, fries, gizzards... all just okay. Not really memorable. And the burger was truly sub-par. This time I tried the signature Haystack burger and even ordered it up the special way. But either something was wrong with my taste buds or this thing was seriously lacking in seasoning. Yes, the ingredients were all there... American cheese, ham, egg, beef. Check, check, check. But a little bit of salt would've done wonders on this well-done burger. 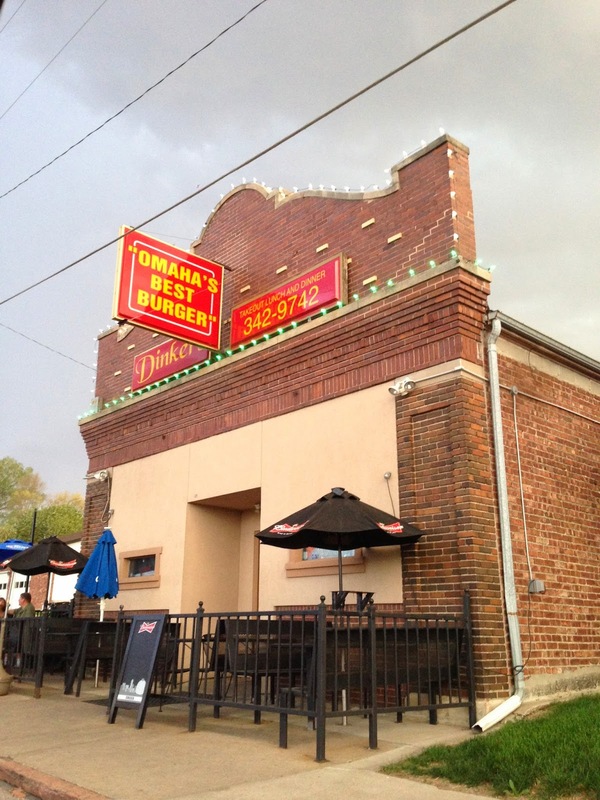 As far as "Omaha's Best Burger" is concerned, that quote isn't attributable to me. But I'm apparently in the minority here, so you might as well try for yourself. So I love food. I love gastro pubs. And I was exceptionally excited to try P&F. Two weeks in, and there have obviously already been some mixed reviews - and sadly I'm about to add to the negative side. Yes, a new restaurant should probably be cut some slack... but... as an already well-established (and well-reviewed) concept in Kansas City, I would have thought the Omaha iteration would at least have been okay right out of the gate. Unfortunately, as another reviewer said, the kitchen really fell flat. Starting off the meal with an Old Fashioned seemed like a good idea, since the specialty cocktail menu seemed very appealing. 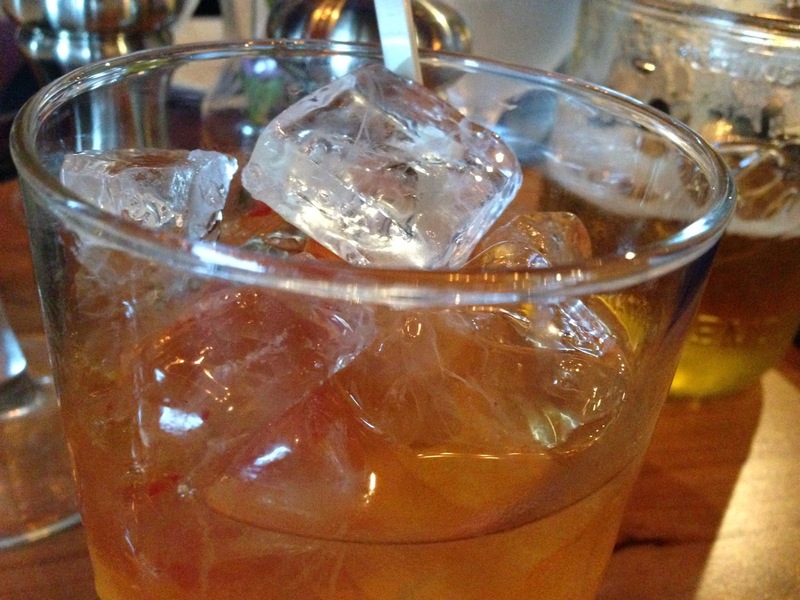 But sadly, what showed up had a very heavy ice-to-drink ratio, making it difficult to imbibe. Maybe I just have a big nose (okay, I know I do... the better to smell with!) but not being able to enjoy a cocktail without a cascade of cubes hitting me in the face isn't my idea of a good time. Probably should've asked for a stir straw, yes... or I could have transferred some ice to another glass... but it was already pretty watery tasting so I just sucked it down and moved on with life. When I look back on our nearly $80 meal, I enjoyed the mason jar of miller high life probably most of all... or maybe the pickles? In any case those were the [unfortunate] highlights. Tied for second place were our two appetizers... The bacon-jam blue cheese toasts (winning flavor combo) and pretzel bites, which were like eating crunchy mini everything bagels. But don't try to put the spoon in the cheese dish or you'll have a mess on your hands. 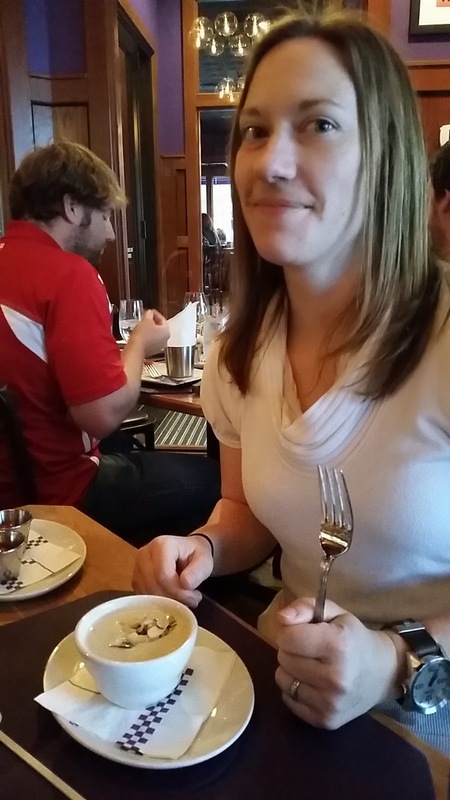 Speaking of spoons, I didn't get one with my soup. Which allowed the soup to cool down to a point that it was barely warm before I did get a spoon. Fork + Soup = ?? Our server offered to bring another cup of soup, but I thought at that point I'd stick it out for the entrees. Now I wish I'd eaten the soup. When it came to entrees... I surprisingly had a lot of trouble deciding. You'd think by now that I'd realize that doesn't bode well for the meal. But no. What can I say, I'm a slow learner. Finally, I decided on the Griddled B.L.A.T. Sandwich, violating one of my cardinal rules of not ordering items I could make myself at home with a reasonable level of decency. 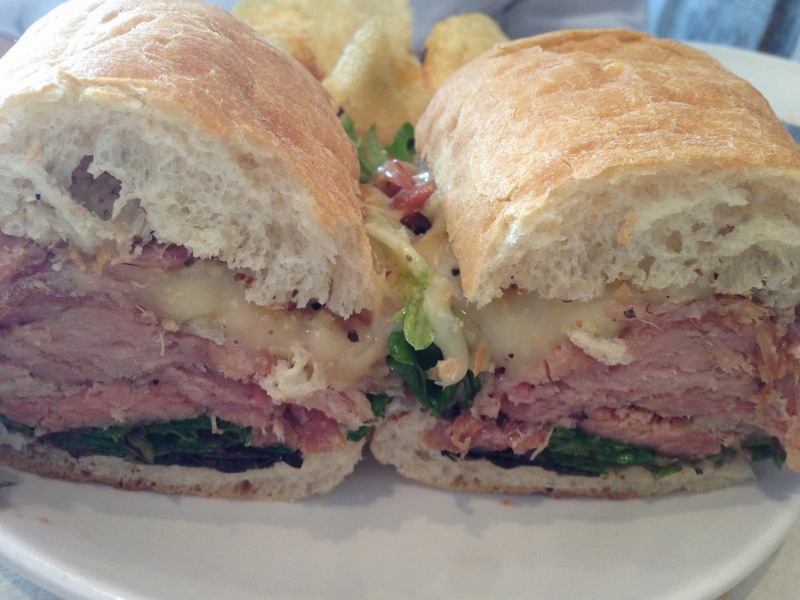 There was some experience at the table with this sandwich both in KC (life-changing) and in Omaha (disappointing) already, but two of us ordered it up anyway after seeing one come to a nearby table loaded down with thick-cut bacon. How sad am I now to be writing this review, saying that our meal at P&F Omaha was one of the most disappointing experiences in recent memory. Where were the flavors in the entrees? 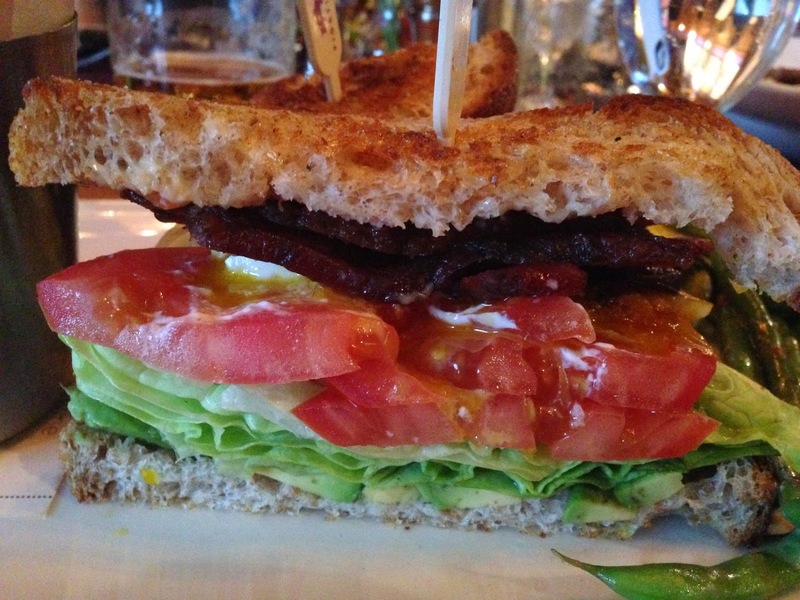 My sandwich did at least have bacon, but it was easily overshadowed by pile of lettuce and tomato. The bread was crusty (in the 'tear the roof of your mouth' kind of way). And the egg... It was under-cooked to the point that the white was mostly mush and it was just, in a word, runny (and not just the yolk). It was, to me, inedible. I tried a single bite of the Duck Ham Flatbread. That was enough of that. Being able to turn out decent food is a basic function of a restaurant. And since the menu isn't large, you'd hope the emphasis would really already be there... here... whatever. Our server, for the record, was great. I felt bad for her since we probably came across as "that table" where the people just cannot be pleased. I suppose in some ways we were, as the four of us commiserated outside afterwards. Believe me, I NEVER want to be THAT person. I ALWAYS want to be the one raving about a new place. (The good kind of raving). In this instance, however, it was the bad kind and if not for the appetizers I'd be writing a one-star review right now. There's no chance I'll be back to try again anytime soon until I hear the food missteps have ironed themselves out. I also didn't enjoy the fact that I couldn't really hear our server at all and had trouble understanding some at our table of four... acoustical issues in the front room at least. Nearly criminal that I've never typed those words together before. OMAkase... OMAha... it just seems so... right. Though as many people would [incorrectly] assume, sushi and Omaha don't have the same great correlation. 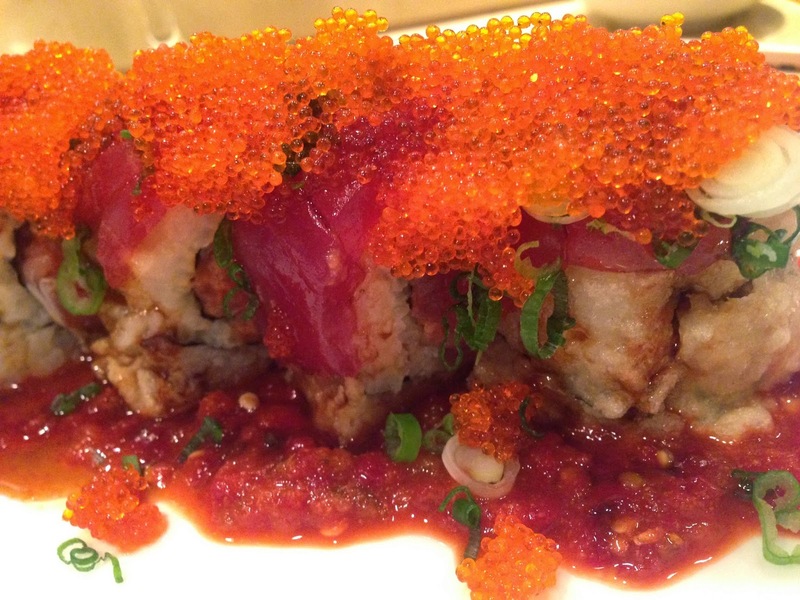 Yes, there was a time when sushi was nearly unheard of in our food-obsessed city. But I'd say it's really caught on in the last 10 years. And, yes, most people never stray from maki rolls, there are some very, very, decent options for sashimi and nigiri out there also. The recent OWH article about omakase got me in the mood for fish feasting though, and I've never gone totally off-script before... Surprising because it seems like just the kind of food adventure I'd be into. 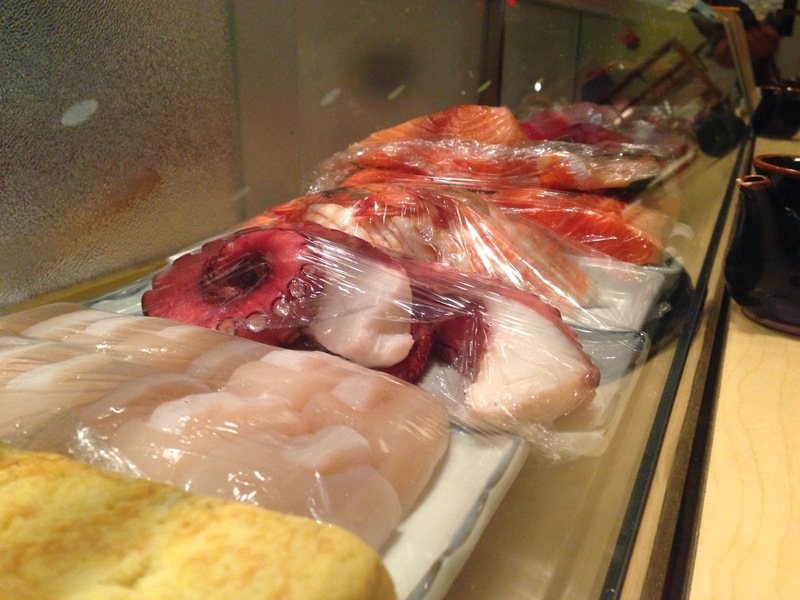 Omakase is actually a Japanese phrase that means "I'll leave it to you". (Which is a phrase I'll likely use often when I actually get around to visiting Japan). But here in O-town, it really just means sushi. The article mentioned several options for omakase, but I only had two places on my radar to try. (In my next OMA-kase-ha post, I'll tackle Taita Restaurant - the place people don't know how to pronounce that's cranking out some huge wins in Benson). But first up... Sushi Japan - the first place I ever tried sushi, and my long standing favorite. I dined solo, relatively late on a Friday evening. 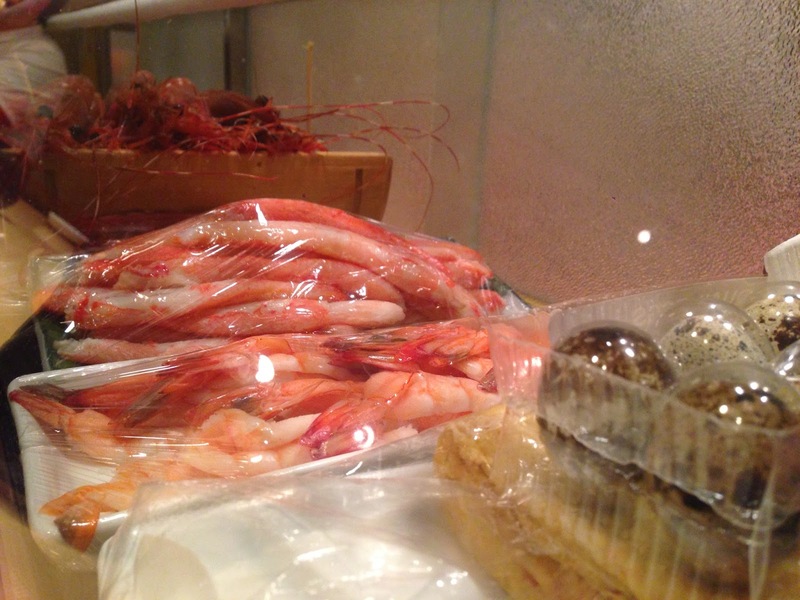 The omakase style lends itself to sitting up at the sushi bar, which I saddled up to upon arrival. I hadn't called ahead to ask for omakase, figuring it wouldn't be a big deal for only one person. 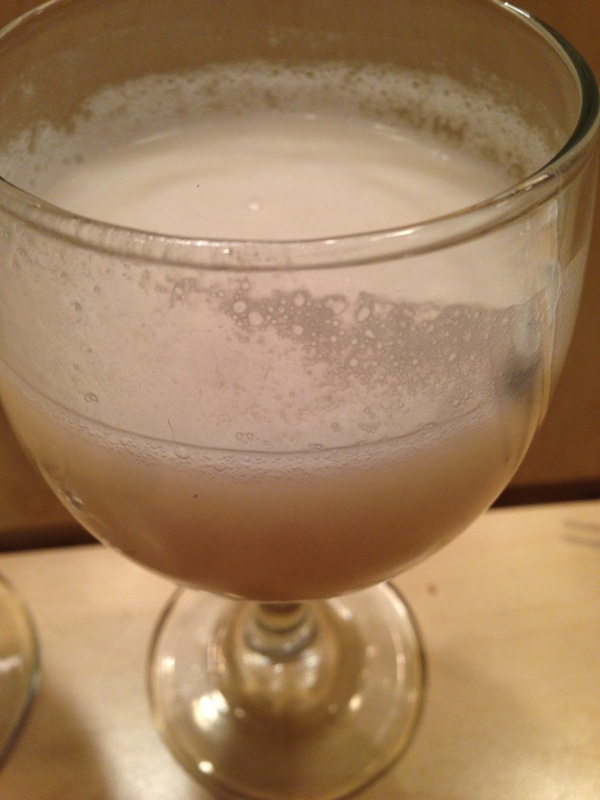 Once settled, sake in hand, I glanced around the well-established crowd of Sushi Japan regulars... and nearly lost my nerve. Me... self-professed, food-obsessed, sometimes extrovert that I am... I started gravitating back to the menu. The chefs were already hard at work, chatting up customers, and I nearly felt like I was intruding. Momokawa Peal Sake. Cloudy and wonderful. (Liquid Nerve). Luckily, that panic only lasted a minute before they welcomed me into the fold. When Hugo sensed my indecision, he promptly told me I'd be taken care of. Suddenly, strangers were recommending their favorites and I was ordering way more food than I could comfortably eat (plus the largest Rainbow Roll I'd ever seen - to go). To start, I was served an appetizer of seabass sashimi, jalapeno, cucumber, cilantro and grapefruit in a mango-esque citrus sauce. It was a moment of clarity where Hugo must've stared into my soul. I ate it all (and just barely managing not to attempt picking up the slender plate in an attempt to drink the remaining sauce from a corner). I'd love t order it again... if only I had remembered to ask what it was called. 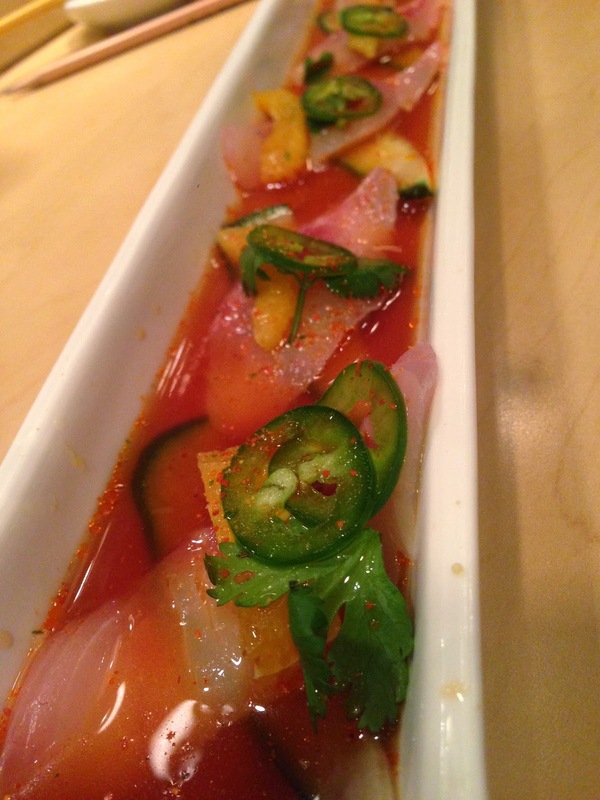 Oh well, I'm sure next time they'll know what I mean when I ask for the 'grapefruit jalapeno fish appetizer', right? This dish was the favorite of the regulars on my left. Next up, once I placed my happy plate back up on the bar, I was served the Mark Diablo roll. 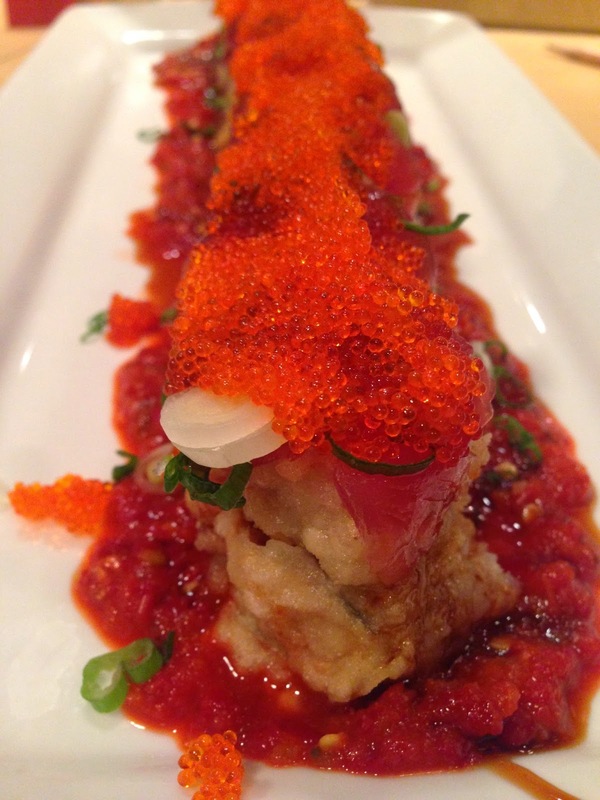 Spicy tuna, tempura fried, topped with tuna, toboko (flying fish roe) and sweet sauce. All served up on a bed of chili sauce... so you can either just eat the pieces off the top, or dredge it in the chili sauce to go as spicy as you like. This was a roll that I haven't had before - but it's obviously somewhat of a signature. And it was also awesome. Definitely something I'd get again. Case in point - branching out can sometimes be very rewarding! Mark Diablo Roll. Take a look at that roe. It's MINE! All MINE! Muahahahaha! Finally, I was starting to feel full. But to me, that means I still have room for one more dish! I turned to the couple on my right, who were chowing their way through a B-E-A-UTIFUL sashimi plate (and were also kind enough to let me try one of their fried apples - an 'off the menu' dessert item Chef Hugo whipped up for them). These mysterious - and wise - strangers recommended 'Lily Pads'. Their favorite. Sight-unseen, description unheard, I went for it. "Yes, make me the Lily Pads!" I chimed in. And honestly, at this point, I was pretty excited to see what would show up. Unfortunately for those of you reading this, it was another off-menu item so I don't really have the best descripotion (food blogger fail!) But at least we have a name in this case. The best I can describe them is little piles of heaven. Or, if you're not religiously-inclined. Piles of Good. Piles of Yum. Or, if you're adverse to the word 'pile' they you can substitute "Stacks" for the above. 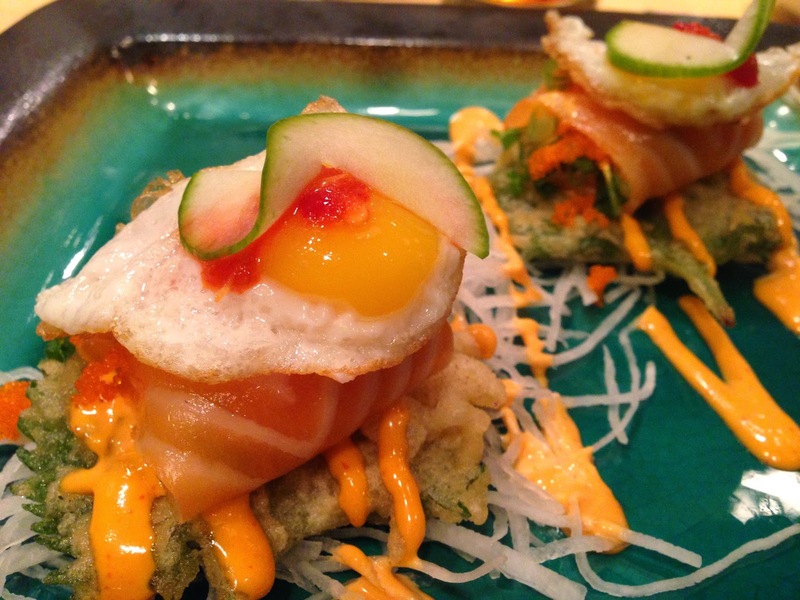 The Lily Pads were basically tempura-fried vegetable [something] with salmon and quail egg on top. There was a sauce also... lord, this is not my finest moment in food writing. Apparently when I go off menu I need to take better notes (or ANY notes). Though, worth mentioning, the ingredients of this sometimes change anyway to the Chef's whims... so it's probably best not to get too stuck on one composition. A couple more shots of the plethora of offerings on the counter made me sad that my stomach was finally full. I hadn't even gotten to the tamago, octopus or GIANT SHRIMP. It's hard to say that it was the best thing I ate that night, since all three items were off the charts great, but it was a solid three-way tie where everybody wins. Especially me. If you're looking to try sushi for the first time, or really go off the rails and get out of your comfort zone, you probably can't go wrong with Sushi Japan. And if you're dragging non-sushi lovers along with you - hit up the yakiniku side where you can grill your own meat (though that's really a topic for another post). In the meantime, get here. Explore. Your taste buds will thank you.